Tyler Mitchell Tells MANjr. Who “The Angriest Man In Brooklyn” Is. This weekend “The Angriest Man in Brooklyn,” starring Robin Williams, Mila Kunis, Melissa Leo and Peter Dinklage, will be released by Lionsgate in select theaters. The film centers on Henry Altmann, who is played by Robin Williams. He seems to always be having a bad day. In the film we find Henry waiting impatiently at the doctor’s office. When he is finally seen by Dr. Sharon Gill. 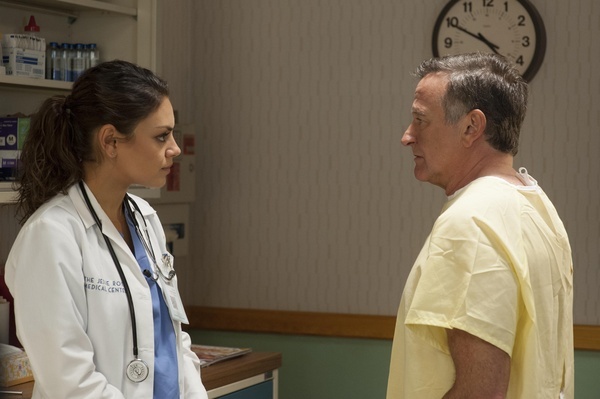 Sharon, played by Mila Kunis, who is enduring her own bad day, she gives him some bad news. She tells Henry that he has a brain aneurysm. This news makes Henry even angrier and he starts yelling at Sharon as he demands to know how much time he has left. Faced with Henry’s anger and insults, Sharon abruptly tells him he has only 90 minutes. Shocked and reeling by this news, Henry storms out of the office leaving Sharon stunned by what she has just done in a lapse of judgment. As Sharon goes on a city-wide search, Henry struggles with his diagnosis, determined to make amends with everyone he has hurt in his life. Mitchell began his career in film at age 19, doing summer internships with producers Arnold Kopelson, Jim Jacks and Sean Daniel, as well as working for New Line Cinema. 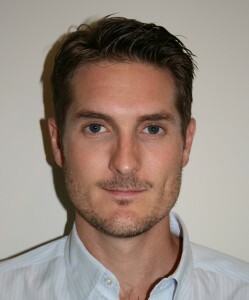 After graduating college, he gained hands-on production knowledge as a director’s assistant on such films as “The Whole Nine Yards,” before joining the Agent Training Program at International Creative Management, where he worked for Ken Kamins, Executive Vice President and Head of International Operations. In 2001, Mitchell departed ICM for upstart production/finance company FilmEngine, where he served as Vice President of Production and Head of Development. Mitchell oversaw the development, production and financing of six films in the company’s first four years, including “The Butterfly Effect,” starring Ashton Kutcher and Amy Smart, and “The Rum Diary”, starring Johnny Depp. During his tenure, FilmEngine landed a four year, first-look production and financing deal at New Line Cinema. Mitchell is currently a partner at Landscape Entertainment. Landscape has a First-Look deal with Entertainment One for television and a First-Look deal with Fox Studios for Event Series, with projects in active development at: HBO, USA, TNT, FOX, WGN, and Amazon. I was able to catch up with Tyler to ask him about “The Angriest Man in Brooklyn,” the difference between directing and producing, and much more. Click here to listen to the interview. Print article This entry was posted by Art Eddy III on May 22, 2014 at 2:40 pm, and is filed under Entertainment. Follow any responses to this post through RSS 2.0. Both comments and pings are currently closed.